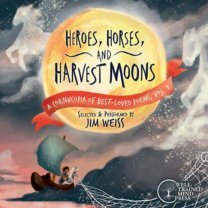 Heroes, Horses, and Harvest Moons: A Cornucopia of Best-Loved Poems, Volume 1 (performed, with introductions, by Jim Weiss) Audiobook available in CD or MP3. Heroes, Horses, and Harvest Moons Illustrated Reader Crystal Cregge’s gorgeous paintings provide an enchanting accompaniment to these 40 classic poems. Available in paperback or PDF. 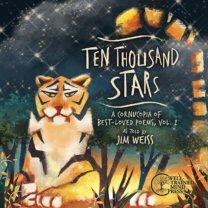 Ten Thousand Stars: A Cornucopia of Best-Loved Poems, Volume 2 Audiobook in CD or MP3. 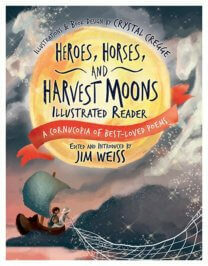 More classic poems from around the world, introduced and performed by Jim Weiss. 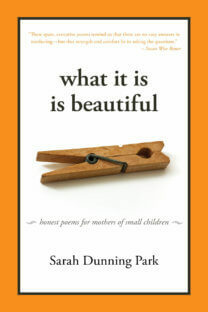 What it Is is Beautiful: Honest Poems for Mothers of Small Children (Sarah Dunning Park) Original poetry that captures the honest emotions, struggles, and joys of parenting little ones. Our first time reading this book was the only time that a poem involving the word “mucus” made us cry.